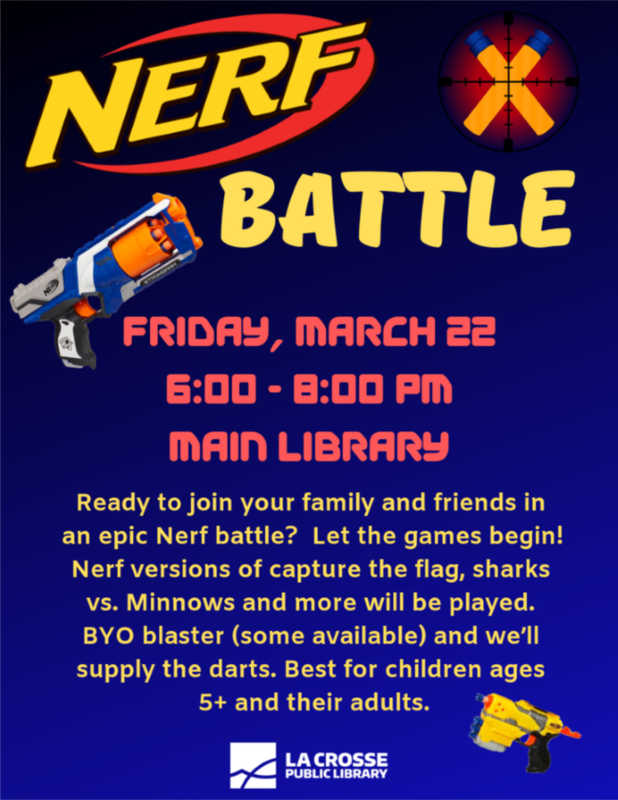 Ready to join your family and friends in an epic Nerf battle at the public library? Let the games begin! We'll be playing Nerf versions of capture the flag, sharks vs. minnows and more! Bring your own Nerf blaster (some available) and we’ll supply the "elite style" darts. Free pizza and snacks will be provided at the event! Please note that the Main Street Library closes at 6 PM on Fridays, so plan to arrive early and enter the building by then for this special after-hours event! This event is recommended for children ages 5+ and their adults.